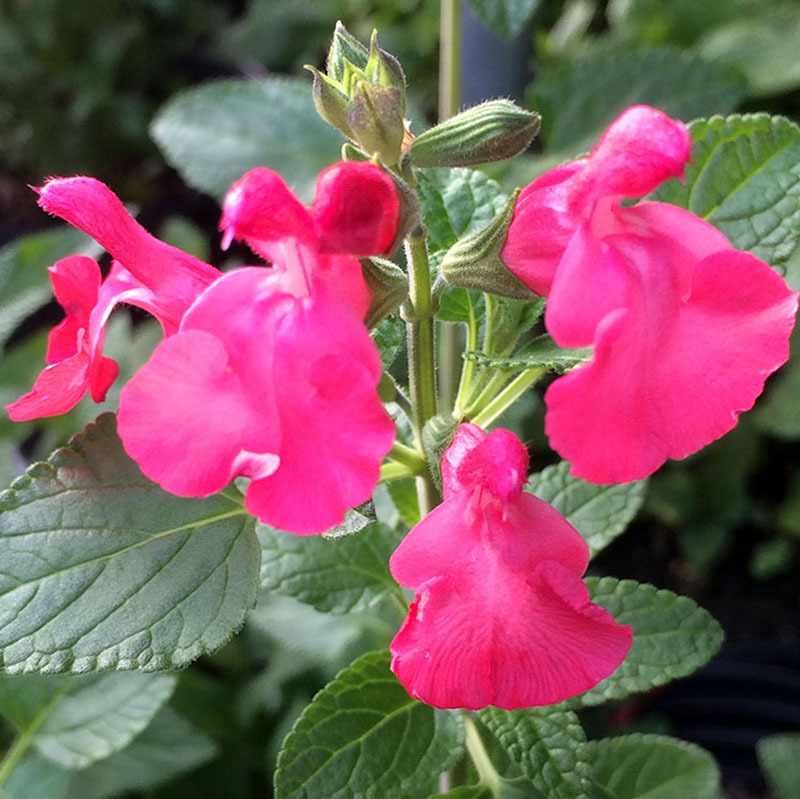 The flower color of this salvia stops people in their tracks. Coral red fading to red with a hint of orange. The overall effect is rather juicy. Large flowers bloom summer to fall attracting hummingbirds. One of the most desirable of salvias, blooming up to 6 months! Fragrant leaves have a fruity scent. Full-part sun. Height 3’. Spread 3’. Shrub-like growth habit. Deer resistant. Zones 6-10.